I was hungry for an egg dish this past weekend. I wanted to make something that Mike and I would enjoy; our son Adam does not enjoy eggs all that much. So I wanted to find a recipe that wouldn’t create a lot of leftovers; I wanted something that would be enough just for one meal. 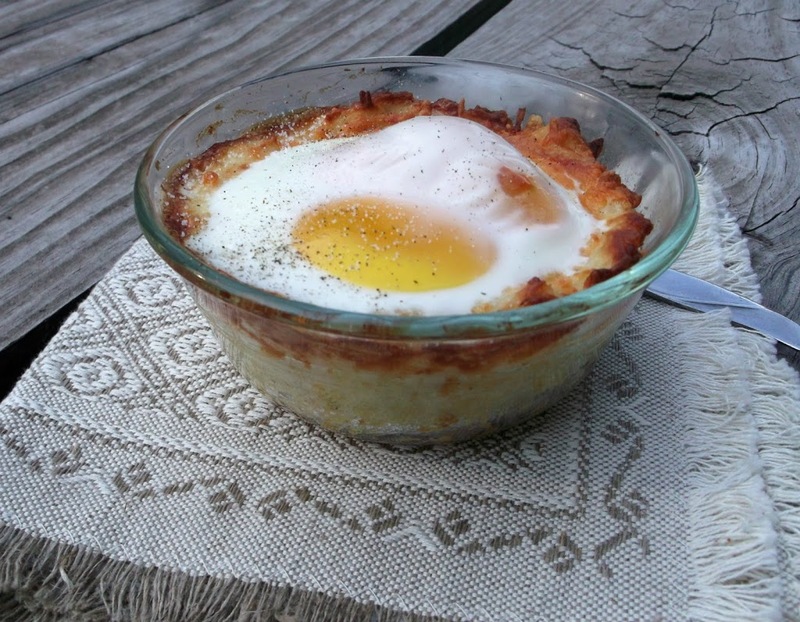 A while back I made an egg dish, but I used custard cups for individual servings. I decided to do something similar to that. I was looking at the web when I found several recipes for Denver omelet cups. They were exactly what I was looking for. Green peppers, onions, garlic, cheddar cheese, and a hash brown crust. In my younger days while in school I was a waitress, I remember serving these omelets to the customers, but I haven’t thought of them in a long time. The omelets are a wonderful hardy breakfast, brunch, or anytime of day dish. 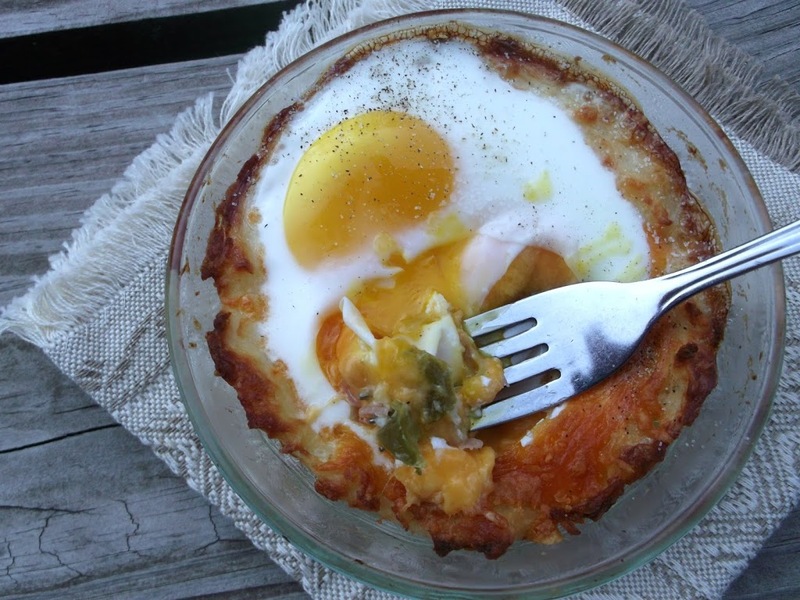 The flavor of the vegetables, cheese, and eggs go so well together. It may take a little longer time than making a traditional Denver omelet, but I would say that it is so much easier. And the fact that it is baked in a high degree oven in different steps, the hash browns get a little crunchy, and the cheese stays nice and gooey. So delicious. Once you make it you will want to make it over and over again. Coat ramekins or custard cups with butter or non stick spray. In a large microwave bowl, melt 2 teaspoons of butter; add 2 cups hash browns and egg white, season with salt and pepper, mix thoroughly. Place half the hash brown mixture in each cup. Firmly press into the bottom and up the side of each cup to form a crust. Bake 15 minutes. While the potatoes are baking in a small non-stick skillet, heat 2 teaspoons olive oil over medium heat. Add the onion, garlic, green pepper, and ham. Cook stirring occasionally, until the onion is softened, about 5 to 7 minutes. Divide vegetable mixture between the 2 cups and top with cheddar cheese. Bake for 2 minutes. Remove from the oven and crack a large egg on top of the cheese, season with salt and pepper. Bake until whites are set and the yolks are still a little runny, about 8 to 10 minutes. The Denver omelet can be served in the ramekin or the custard cup. This recipe can be double to make 4 servings. This looks delicious, can’t wait to try it. This is definitely substantial enough for a dinner for us! A lovely & delicious meal – I like the ” no leftovers” – point! Mmm – can’t wait to try this recipe! These would make a great breakfast for dinner! I love that crispy hashbrown crust! Really nifty recipe! 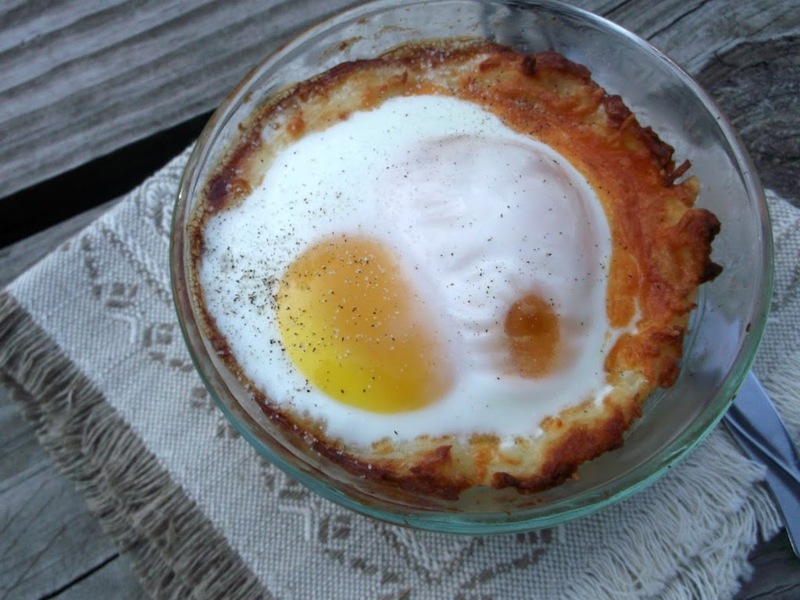 A great take on baked eggs. I really do like the entire meal-in-a-dish concept here. And Denver omelets are one of my favorites, so of course I’d like these! Good stuff – thanks.